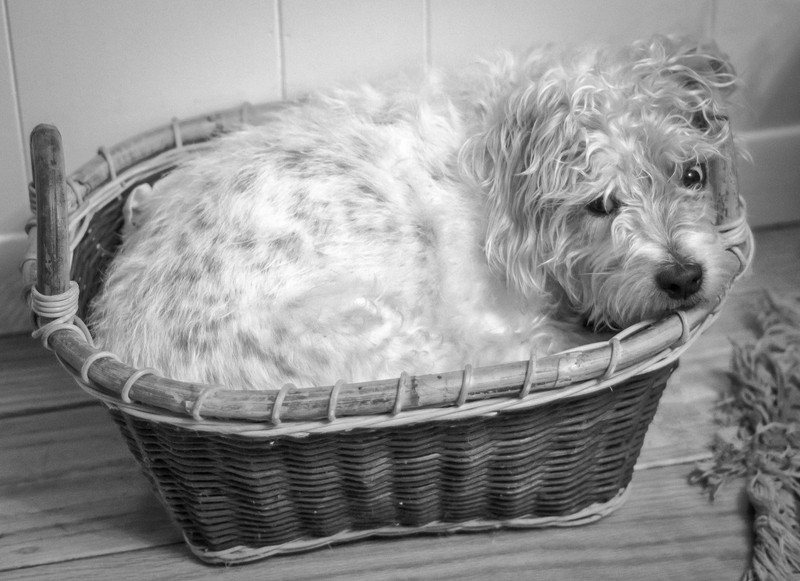 This basket is usually occupied by our much smaller cat, Gypsy. Today, however, our dog Jackson took a fancy to it. It’s really too small for him, but he’s a terrier and not easily discouraged. After about five attempts to get into it he finally made it. His technique was to fit his body into the basket and leave his head to rest on the rim. He didn’t look very comfortable but I suppose he must have been as he stayed there for quite some time. Either that or he’s just so stubborn that having squeezed himself in he was not about to move.